President Donald J. Trump had arguably the best first year for any President in US history since Washington – in spite of massive headwinds from the actions of the corrupt and criminal prior administration, the Democrat Party and their MSM! Below is a list of his major accomplishments. 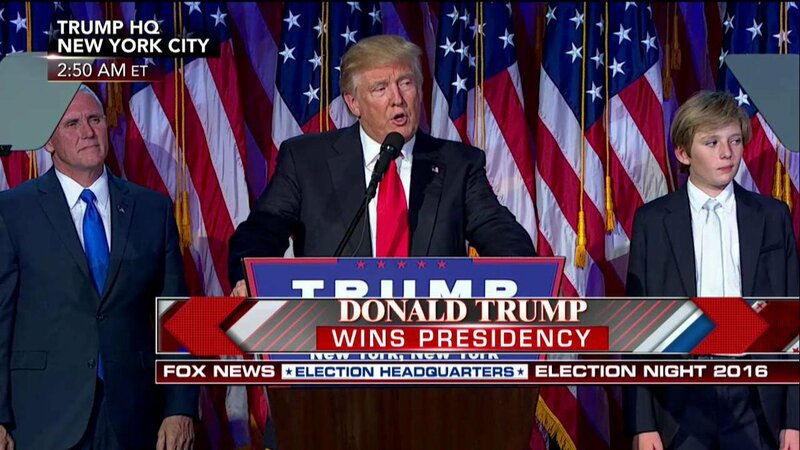 President Trump was inaugurated on January 20th, 2017, one year ago. Since then his accomplishments are nothing short of miraculous. In spite of massive attacks from the MSM, an investigation created through the efforts of the prior corrupt administration, and a Democrat Party that does all they can to derail him, the President kept his promises and did all he could to Make America Great Again. The results speak for themselves. The stock market on Wednesday, January 17th, 2018, this past week, says it all. 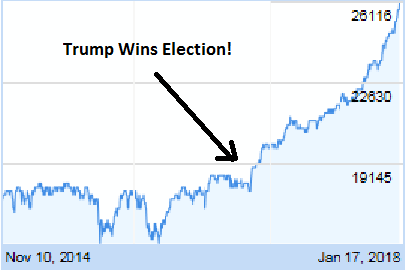 On that day the Dow broke 26,000 points for the first time in its history. As a result the Dow broke the record for the fastest 500, 1,000, 2,000, 3,000, 4,000, 5,000, 6,000 and 7,000 point increases between major milestones in the history of the Dow. All of these increases occurred since Donald Trump was elected President. The Dow today stands at 26,071.7. It is up 42% since the 2016 election and 31% since last year’s inauguration. The Dow had more all-time closing highs in 2017 than any year in history. President Trump enjoys 95 all-time highs since his election and 78 since his inauguration. The Dow is up an amazing 7,739 points since the election. Today there are more people working than at any time in US history. More than 2 million new jobs were created in 2017 under President Trump and as a result more than 160 million people are working in the US today. President Trump increased the GDP growth rate to above 3% in the 2nd and 3rd Quarters and the 4th Quarter was sizzling. President Trump could reach a 3% GDP growth rate his first year in office, an annual GDP that the US hasn’t seen in a decade. At the end of the 3rd Quarter the national GDP reached $19.5 trillion for the highest recorded GDP in US history. The President’s tax plan passed in late December and is already benefiting Americans and American companies. Employees will see increases in their pay next month due to the lower Federal taxes. Millions of Americans have received bonuses due to the tax cuts and major companies have announced plans to move capital and operations to the US due to these cuts. The benefits of these cuts haven’t even transpired yet but the excitement amongst workers and companies is electric. 2018 is poised to have one of the greatest economies in US history! President Trump vowed to destroy ISIS. Despite President Obama saying that ISIS will be around for a generation, these murderers and terrorists in the Middle East were decimated over the past year. Both Syria and Iraq have declared victory over ISIS and due to President Trump’s resolve, less than 1,000 ISIS fighters are estimated remaining. Undoubtedly there is more to do. The wall is not yet in place and Democrats are willing to shut down the government and stop providing money to our troops so that illegals are given citizenship. The FBI and DOJ are headed by Obama leftovers who are involved in corrupt and criminal activities. A bogus investigation was created by these scoundrels and the current AG who recused himself from anything Russia appears to be inept and sleeping. But based on President Trump’s performance to date, he will address these issues successfully in due time as well. Overall President Trump’s first year in office was outstanding. He was attacked from all sides at times and stood tall and to his principles. America is stronger and greater than ever before. The economy is growing and the world is safer. 2017 was certainly one of the greatest years in US history. President Trump kept his promises and has truly Made America Great Again!